Lately, I’ve been trying to take care of all my errands as soon as possible. My thought is that the quicker I can get it off my “to do” list the better. This year, I actually bought all my Easter supplies before St. Patrick’s Day THINKING I was doing myself a favor. 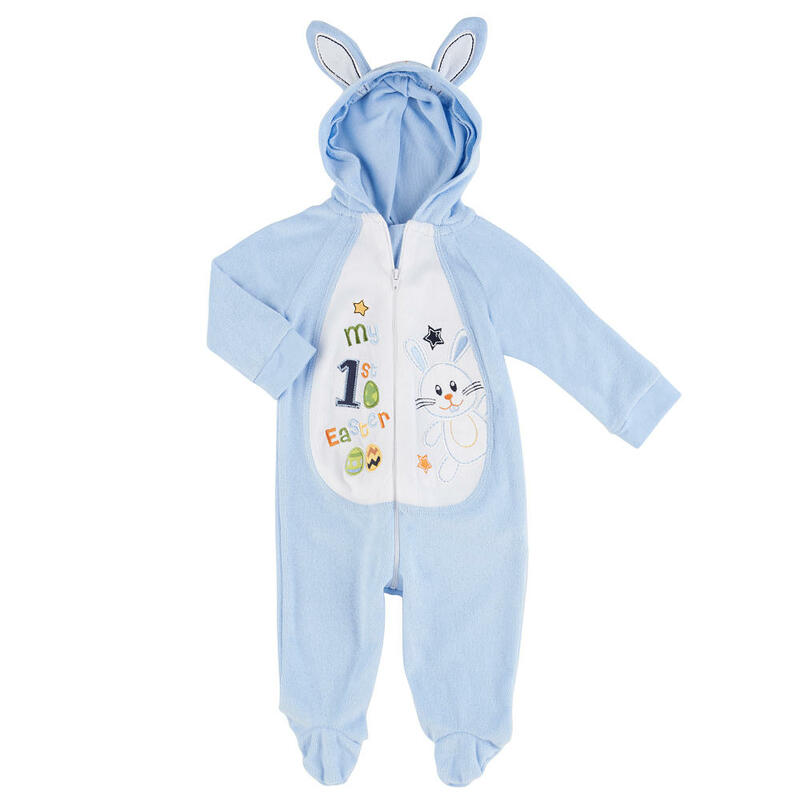 During the first week of March, I snagged Caleb this adorable bunny footsie (which he wore already by accident), got Natalie and Liam their Easter baskets and even purchased the Easter Egg coloring kits. Well, this week EVERYTHING that I bought is now on sale at a severely reduced price. The baskets are about $10 cheaper. The outfit is now Buy 1 Get 1 Free starting TODAY and the egg kits are now $.99. How is this fair? There’s actually no POINT in advanced planning anymore. I COULD fish out that old receipt, return the baskets and repurchase them (or at least ask for a price adjustment)… but I wouldn’t know where to begin to look. My official lesson has been learned. Wait until the week before a holiday to make any major purchase. At the last minute or after the holiday [for next year] because everything is always so deeply discounted/clearanced [best way to shop for Easter outfits/baskets for the kids]. You get super deals with the after holiday clearance + coupons [especially at Target]. I always save my candy + cake/baking mix coupons for post holiday clearance [you can pick up candy / baking mixes for next to nothing or even free in some instances]. We use the candy/baking mixes after the Easter holiday for Spring/Summer treats.